The Supreme Court on Monday gave CBI three weeks’ time to take over more than 212 cases which it said have been identified. The apex court also clarified that the investigating agency should also take over cases where chargesheets have been filed. The order from a bench headed by Chief Justice H L Dattu came after CBI filed an affidavit seeking three weeks’ time to take charge of the cases. The court asked Attorney General Mukul Rohatgi to ensure that CBI gets enough officers from different states on deputation to assist in Vyapam. “The shortage of officers which you always cite should not effect the probe”, CJI Dattu told Rohatgi. CBI also told the court that it will engage special prosecutors for all the cases and said Madhya Pradesh Government’s public prosecutors will continue until then, so that the routine hearings of the cases don’t get affected. As per the CBI, 212 cases of the Vyapam cases are identified till now, out of which 119 cases are yet to be investigated and charge sheets are to be filed. CBI also sought clarification that whether it had to take over the 119 pending cases or all 212 cases including charge sheeted ones. It is to be noted that earlier, in absignificant order aimed at ensuring that the accused in the case do not get released on bail by default, the court had allowed SIT and Special Task Force of Madhya Police to file chargesheets till CBI took charge of the cases. The step by the bench headed by chief justice H L Dattu was necessary as though CBI was handed over the probe on July 9, it has sought more time to take charge and act given the volume of cases. All accused could have become entitled to bail if chargesheet is not filed within 90 days of their arrest. 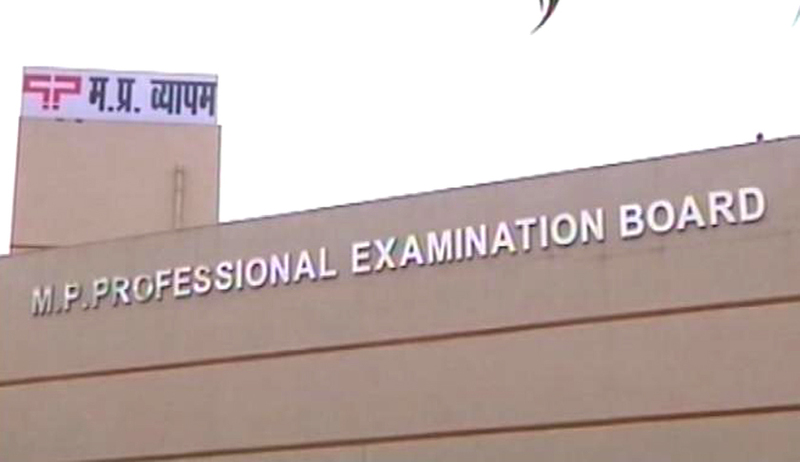 CBI had on July 16 approached the apex court with the plea, saying that transfer of more than 185 Vyapam scam cases from SIT to CBI will take time and the state investigating agencies be allowed to file chargesheets in the cases in which the probe is complete. “Otherwise, the accused will get statutory bail on account of default of non-filing of chargesheets within stipulated time period,” the CBI had said. Observing that it could not allow the deaths to continue, the Supreme Court had on July 9 ordered transfer of the probe into all Vyapam scam cases and the deaths allegedly linked to it to CBI. The apex court had passed the order while hearing a batch of petitions, including the one filed by Digvijaya Singh seeking apex court-monitored CBI probe into all cases arising out of the scam. Congress has alleged that around 49 persons linked to the scam have died under mysterious circumstances, a charge refuted by the state government. The official figure is around 25 which the state government says includes suicides, accidents and some other unnatural deaths. The multi-crore rupee professional examination scam involves several high-profile professionals, politicians and bureaucrats as accused. In a huge embarrassment to MP Governor Ram Naresh Yadav, the top court had also issued a notice to him on a petition that challenged the high court's quashing of FIR filed against him for alleged complicity in the forest guard recruitment scam. Nearly 2,000 people have been arrested since the scam erupted in 2012. This includes a former state minister, several top bureaucrats and hundreds of students. The case that had faded from public memory with time had come back into focus last week with the death of Akshay Singh, an India Today Group journalist who was investigating the scam. There was more furore as the body of Arun Sharma, the principal of Jabalpur Medical College, who was assisting the SIT was found in a Delhi hotel the next day.